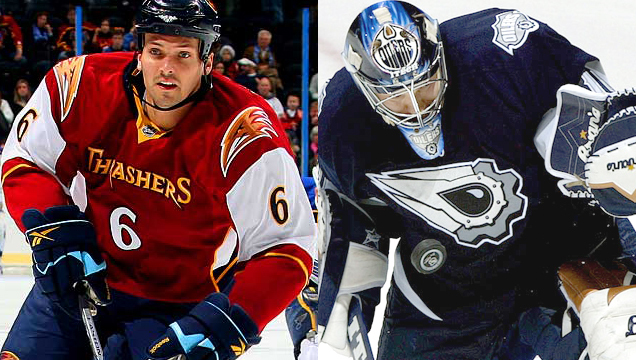 Welcome to the seventh and final day of Ugly Sweater Week here on Hockey By Design! In the coming days, we’ll show you a holiday tradition we’d love the NHL to start enacting: in the 7 days before the NHL takes their 3-day Christmas break, every team wears its most historically ugliest jersey in their games, creating a truly festive and horrific display on the ice. By ‘ugliest’, we mean the jerseys that are a combination of being dreadful by (a) being more ostensibly garish rather than poorly designed, (b) by the jerseys that’s generally accepted as being the team’s ugliest jersey outside of our opinion, and (c) our opinion. It includes the jersey collection of the entire franchise (i.e. – including jerseys prior to relocating to its current location) and consideration will be given to (mostly) ensure the home teams are in coloured jerseys and the road teams in white. 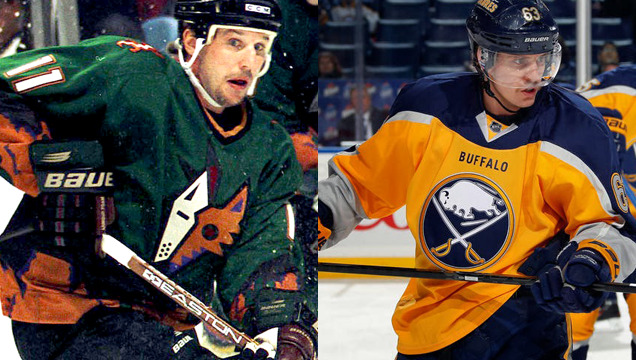 The horrendously tacky old Coyotes’ thirds against the new Buffalo thirds. Just. Awful. 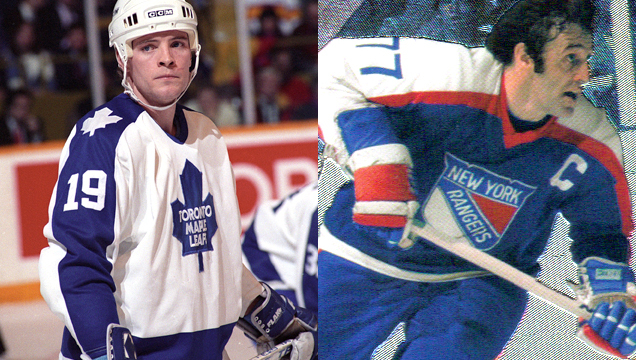 Another Cuff-To-Cuff Bowl, with ’80s Leafs against the mid-’70s Rangers. Complimentary colours compete! 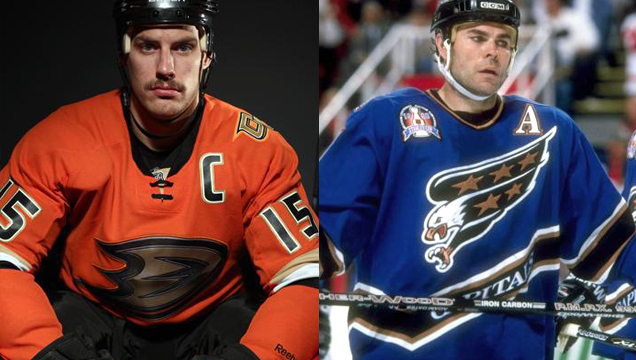 Orange vs Blue in the Stadium Series’ Ducks jersey (making its second appearance this week) against the ’90s-era Capitals. Yeah, so, this match-up looks like it just took place last year or something. Columbus vs Carolina. It’s okay, nobody’s probably going to watch this game anyway. 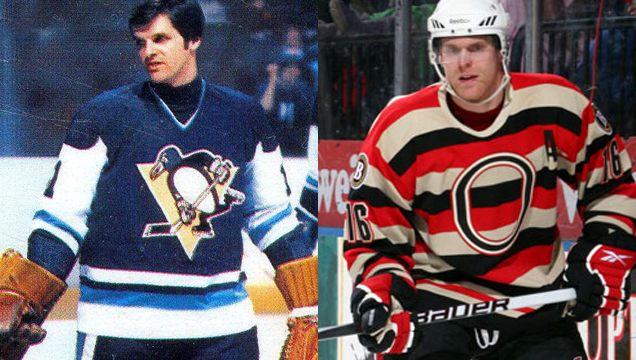 ’70s-era two-blue-toned Pens against the heritage Senators. This could be fun! We just like this image combination too much to not have it. 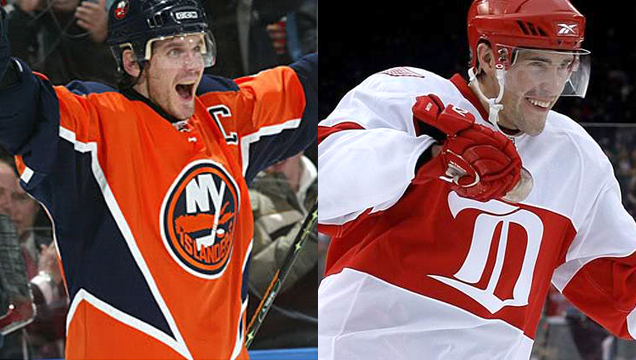 The orange Islanders against the 2009 Winter Classic-clad Wings. 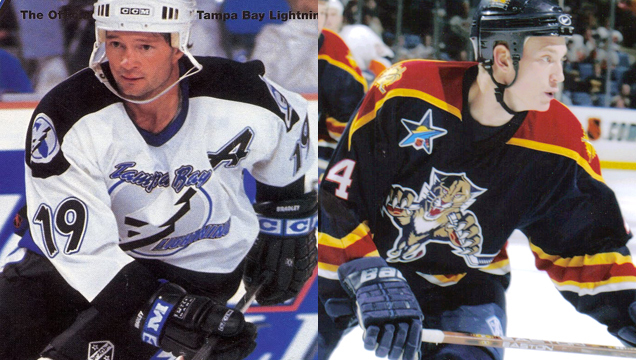 The Battle of Florida goes retro with the Lightning and Panthers wearing their original, horrible jerseys. Lots of colour on this sheet of ice. 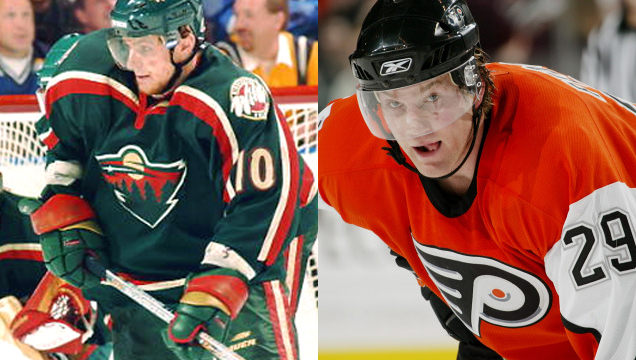 Forest green Wild against bright orange Flyers (with a bad logo treatment). 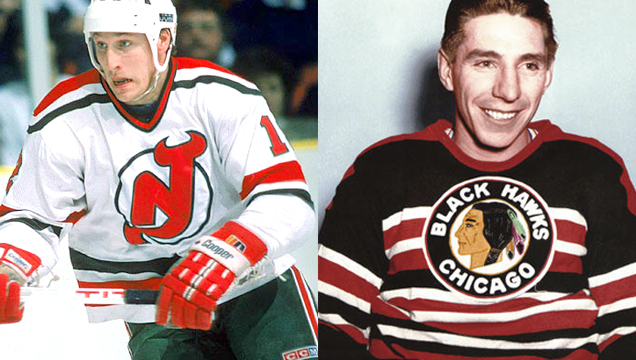 Christmas Devils against striped-out Black Hawks Chicago. 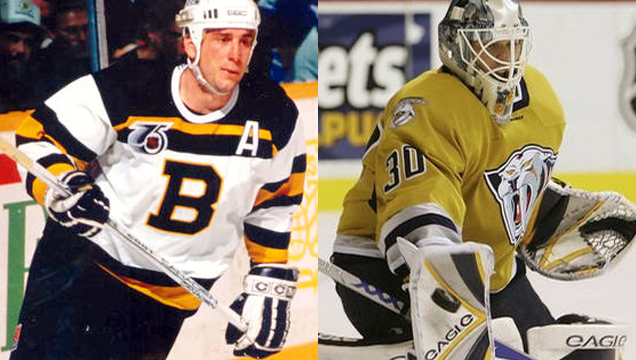 Boston brings back some historically stripy jerseys so Nashville can wear their urinated cartoon tiger jerseys all week long. Diagonal stripes everywhere! 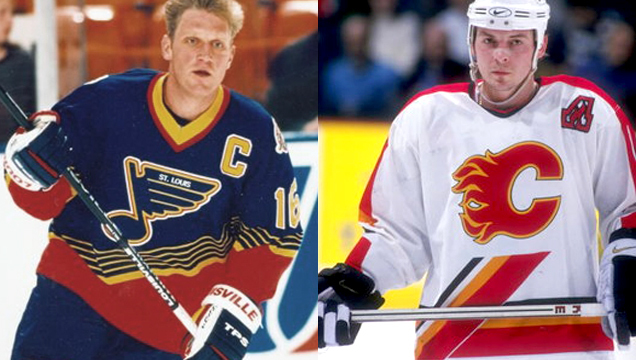 Horrible Blues jerseys against the inexplicable stripes of Calgary. Live the mid-’00s all over again with the Jets bringing back the worst of the Thrashers jerseys (which is saying something) against the cogged Oilers. There’s a joke in here about lines of kings being stopped by uteruses, but I’m not going to make it. 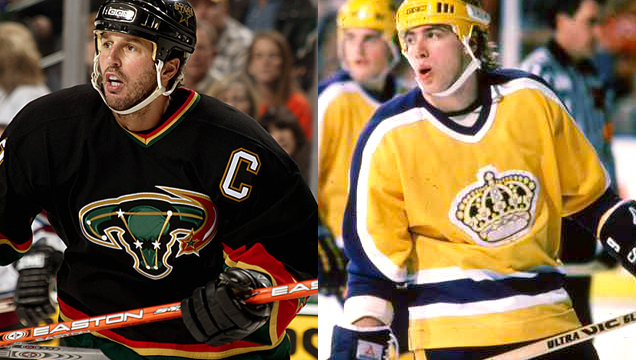 The Dallas Worst-Alternate-Logo-Evers against the Los Angeles Day-Glos. 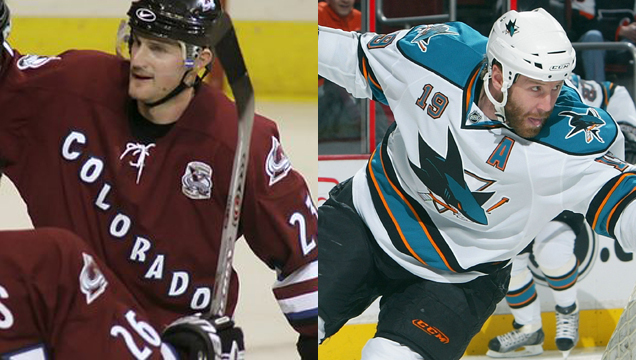 San Jose and Colorado switch coloured-white jerseys so that they can each wear the worst jersey either team has ever had. These match-ups never happened this week, but we sure wish they would have, so we could have all watched in absolute gleeful horror. The Stripe Bowl! Watching a hockey game and get a headache at the same time! Wild Wing versus Burger King. It even rhymes. 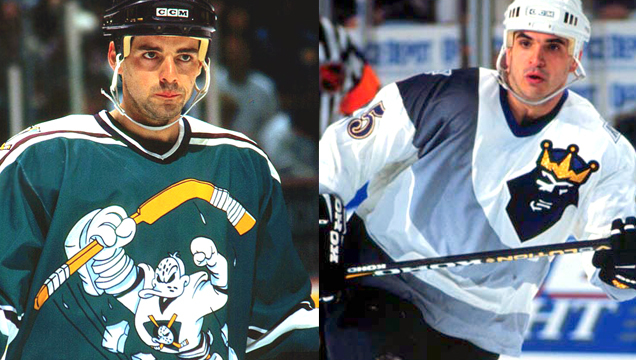 Two of the original (and the worst) NHL third jerseys compete. 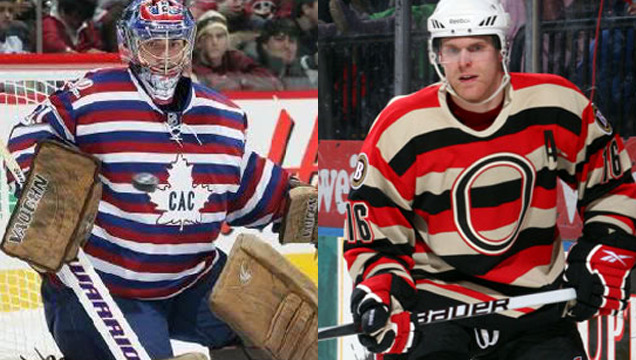 Got suggestions for what you think the two teams should have been wearing during Ugly Sweater Week? Let us know in the comments below. Hope you enjoyed this fantasy week at making the NHL a little more…um…festive. And happy holidays! 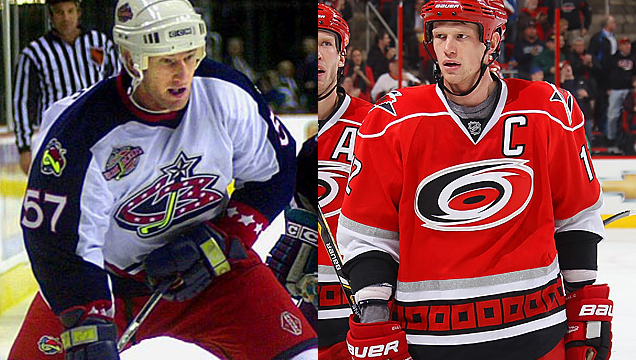 Those aren’t the Panthers original jerseys; the originals had red as the primary color.